You know what I'd like to play on my 3DS sometime soon? No, not Fantasy Life--although I'll definitely be ripping into this role-playing game's packaging and popping its cartridge into my pink-and-white XL as soon as it arrives on my doorstep late next month. In fact, the game that's currently topping my 3DS wish list isn't even a retail release; rather, it's a digital one--or it would be this time around. As for which digital title I'm talking about: it's EarthBound--although I kind of gave that away in the header above, didn't I? In any case, why has Nintendo made its classic RPG available to folks who own a Wii U but not to those who own a 3DS? I have no idea, but I hope they rectify the situation in the near future. While all of us Wii U-less EarthBound fans wait for that to happen, we may as well content ourselves by ogling the following pair of illustrations that were inspired by this Shigesato Itoi-made masterpiece. My hope is the New 3DS model will have enough juice to allow SNES games on Virtual Console. My nephews recently received a working SNES and several games, one of which is Earthbound. They seem to be enjoying it, so maybe that'll inspire them to give other RPGs a try. Hmm, do you think the current 3DS is incapable of emulating SNES games, Terry? Considering it's capable of emulating GBA games, I can't imagine it's incapable of emulating SNES games, but of course I can't say that with any authority. 3DS doesn't emulate GBA games. 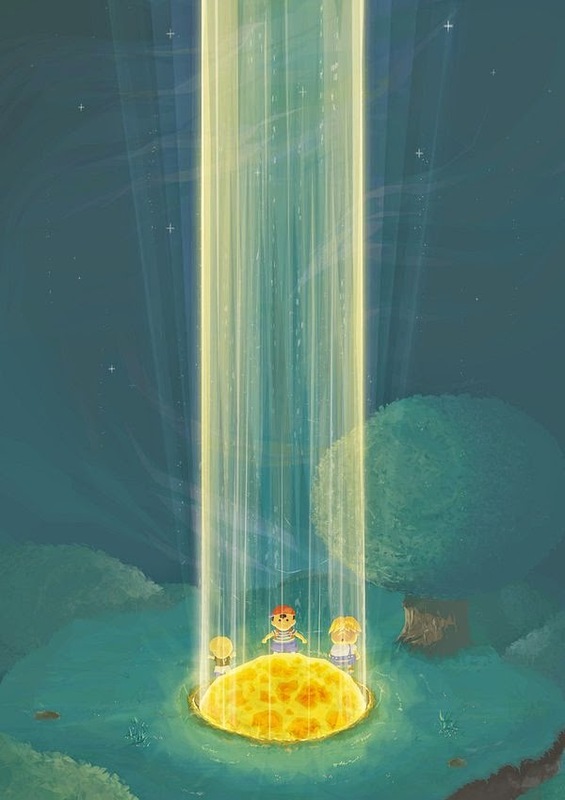 The ability to play them is part of the built-in DS hardware. Playing a GBA game puts the system in DS mode, so there are no save states, Miiverse, or StreetPass features running. It would be nice if the New 3DS could do GBA and SNES emulation. If it doesn't, I'll bet one of my kidneys the next handheld will. Ah, right, I forgot about that XD Still, I wouldn't be surprised if the 3DS was powerful enough to handle SNES emulation. I think the far more likely scenario is that Nintendo just isn't interested in supporting such a thing at the moment. Yeah...it can render Ocarina of Time in 3D. I'm pretty sure the SNES emulation would be possible if Nintendo weren't so keen on holding closed the strings on its magic bag. Also...ya! 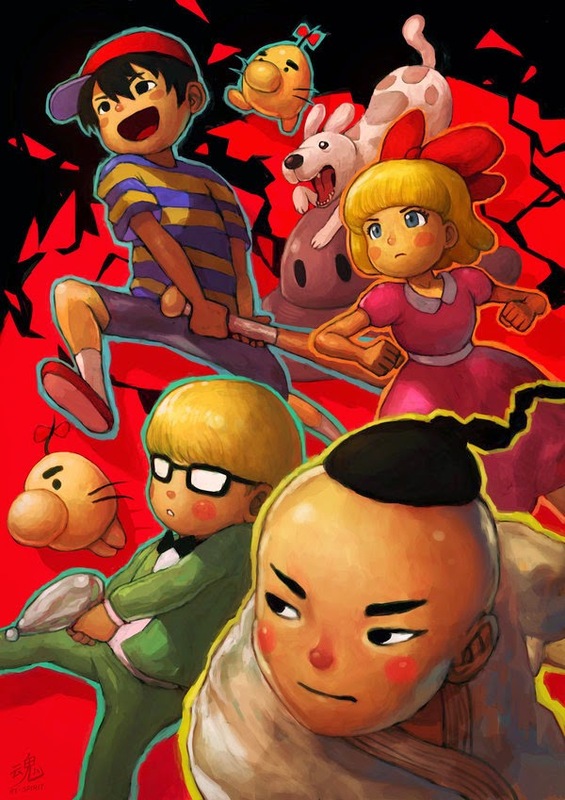 Earthbound fan art is my favorite fan art. My feelings exactly, Justin--although I freely admit to not knowing ANYTHING about what kind of processing power is needed to enable emulation.